Here at the CT, we are big fans of the moves the Eagles are making (not so much the decision to not re-sign Maclin, but everything else is going fairly well). They all make sense financially, talent wise, and show a desire from the franchise to explore new options instead of doing the same things over and over again. An added benefit of the bevy of roster moves being made by the Eagles is the effect they will have on the local media, especially one Angelo Cataldi. We’re not huge fans of the notorious flip flopper and anything that will take an extra step into handing him a massive stroke is just fine by us. He’s been on the air for a few hours by now. Is his speech slurred? Has he been nonsensical? Ahh perfect. 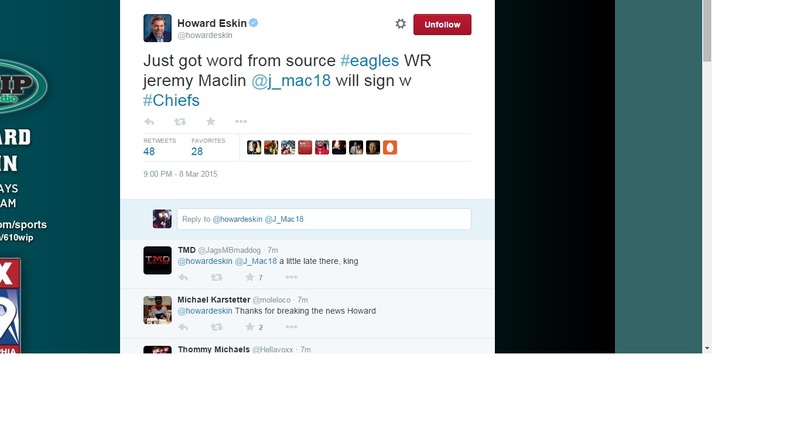 In other media news, Howard Eskin tweeted this out at 9 p.m. Sunday evening. That’s about an hour after the news of Maclin’s plans to sign with the Chiefs was all over Twitter. Really not breaking any news there Howard. Also, note the twitter handle. 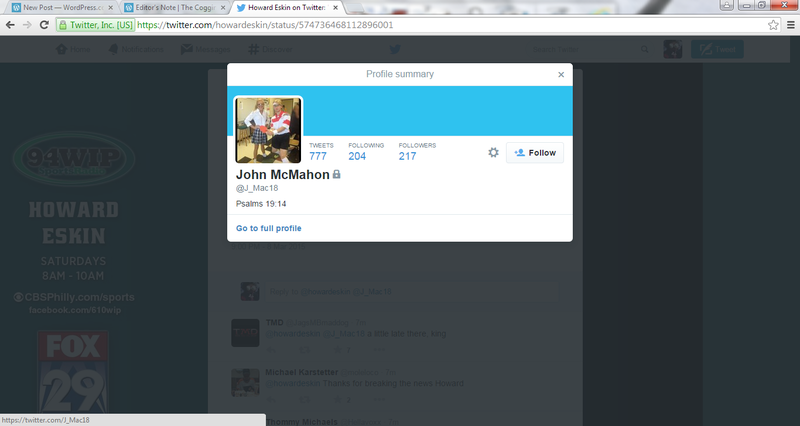 Yeah, that’s not Jeremy Maclin’s. It’s this fellows. That’s some great reporting, Howard. 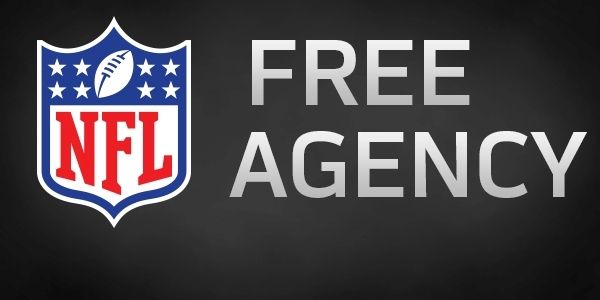 Chip Kelly must be furious this afternoon, as an anonymous Eagles front office employee has leaked a comprehensive list of available free agents who the organization will be targeting at the start of free agency on Tuesday, March 10. The Eagles are widely expected to be one of the major players in free agency this year, as the team had over $50 million available to spend. Here is the list of players the Eagles are reportedly going to try and ink this offseason.